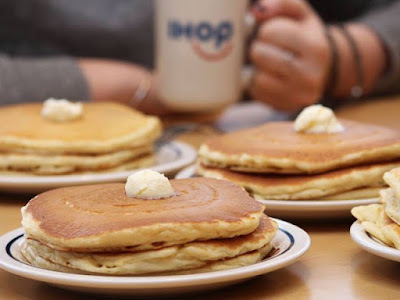 IHOP's $3.99 all-you-can-eat pancakes deal makes its annual return to the diner chain for 2018. During the promotion, which runs through February 11, 2018, you can either choose either--a full stack of five buttermilk pancakes or a short stack of two pancakes along with a plate of eggs, hash browns, and a choice of sausage, ham, or bacon--plus additional short stacks of two buttermilk pancakes until you've had your fill. A full stack of buttermilk pancakes normally costs around $6 or more at the chain (varying with location). The offer is only good for dining-in at participating locations.